This article details how to mute or unmute notifications. Both the In-App Notifications and Email Notifications within the application can be muted (i.e., disabled) if you no longer wish to receive alerts to activity within your account. 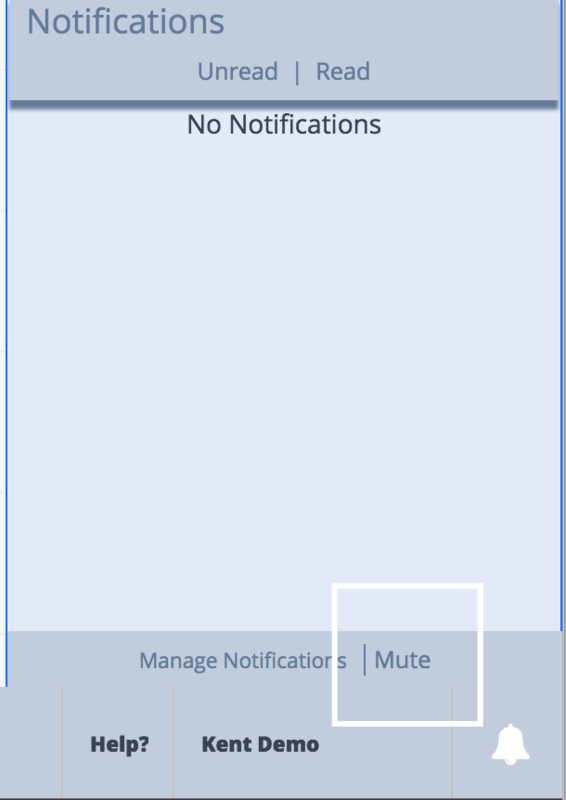 To mute In-App notifications, you can either open the Notifications menu using the Bell icon and click the 'Mute' button, or navigate to your user preferences and select the 'Mute' option there. If notifications are already muted, you can un-mute them by clicking 'Unmute'. To mute Email notifications, you can navigate to your user preferences and select the 'Mute' option next to 'Email Notifications'. If email notifications are already muted, you can un-mute them by clicking 'Unmute'.